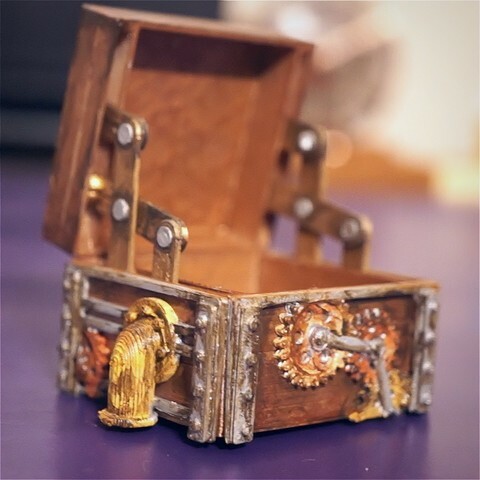 I liked the box with hinges by Stefan64, but I wanted to see it with steam punk details! I created some gears and pipes to attach to the sides and I painted it to give it a weathered look. 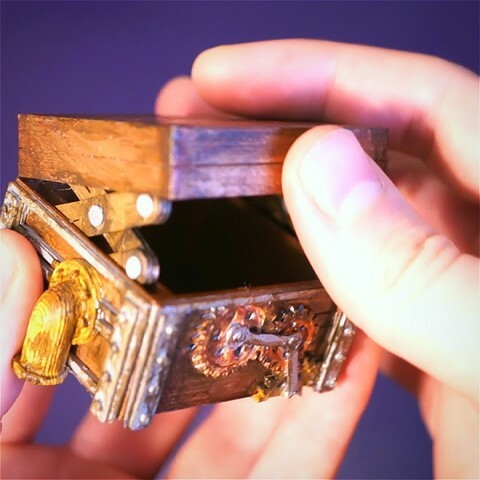 I had a problem with the original pins not staying in the hinges so I 3D modeled new ones that are still there after closing and opening the lid several times now. I recommend Gorilla super glue or something similar with a strong bonding power on the pins. I also recommend printing the pins separately with the highest, slowest, and strongest settings.